Convenient drawstring closure with cord lock. Mildew, odor, and rot resistant. Mesh fabric allows co..
Sewn bag, acrylic coated to resist water. Sewn-in drawstring. Great for storing sleeping bags, laund..
Keep important gear like matches, boat licenses and camping permits dry inside the Coleman® Watertig..
Knot-a-bag dispenser w/2 rolls Pack: 2Description: Dispenser with film.. Knot a bag refill 3 rolls/pk Pack: 3Description: Refill - 3 rolls..
Clear front, blue or gray back (padded and lined). Adjustable neck lanyard and anodized aluminum spr..
Large Super Suction cups. Mounts on any smooth surface. Can be permanently attached with screws. Hol..
Large Super Suction cups. Mount vertically or on any flat, smooth surface. 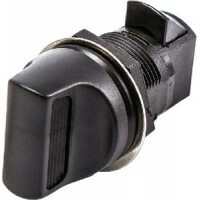 Can be permanently attach..
Sierra, Glove Box Lock, MP49410.. Turn to Open Mechanism-No Finger Pull Non locking version Totally corrosion resistant Black glass r..